The Future Melbourne Committee met at town hall last night and unanimously approved the latest QVM Infrastructure and Car Parking proposals. 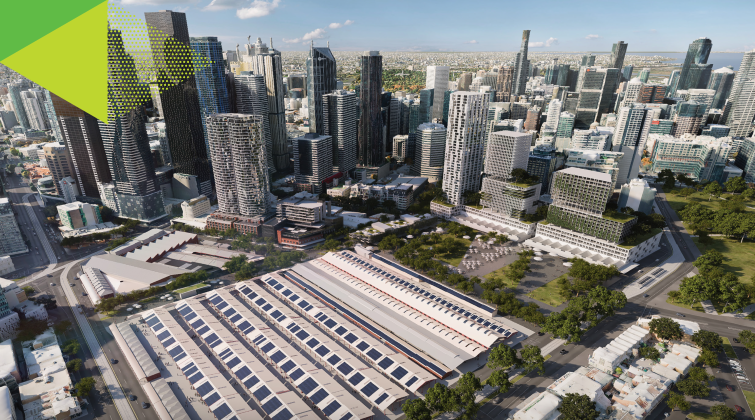 The torturous process of renewal, held up by Heritage Victoria’s refusal to allow the underground construction, is now back on track with a new proposal for storage, waste, and service facilities. Queen St. will become the site of three new facilities with underground components, while Fruit & Vege traders will be asked to help design in-stall dry and refrigerated storage for their area. Car parking will be split between the Munro site (500 spaces) and a new building at the Southern end of the market (up to 500 spaces). The current car park will remain in operation while these sites are constructed. A number of concerns were raised about the distance of the Southern (Franklin St.) car park facility from the main market and it was pointed out that we would need to continually review our car parking over the years of construction while considering innovations like click’n’collect to assist some of our time-poor customers. All this will be progressed over 6 years and still fit within budget and the requirements of the state government agreement. In the meantime, the associated Munro development will progress while maintenance and other works will be conducted on our heritage sheds across the site and of course String Bean Alley will receive its upgrade this year. There was a common theme in the room at Town Hall last night - We have taken too long with this renewal - it is time to move on and get it done. Fortunately Council delivered on that sentiment.